Whistleblowing is when you report a violation of the law by your employer. If you get adverse action the whistleblower attorney at Rager Law Firm has years of experience and expertise in whistle blowing Cases. You witness your employer falsifying documents and you feel that you need to report it. 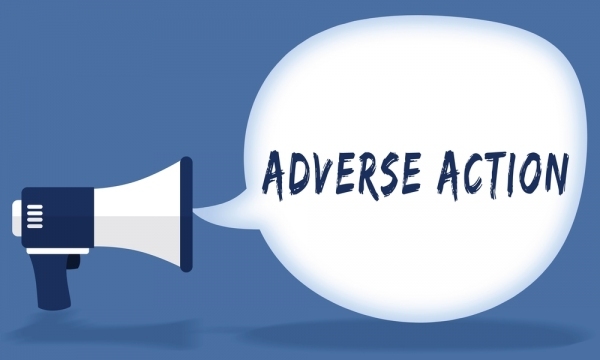 Unfortunately, you get adverse action taken against you. You are eventually fired. The adverse action also includes a demotion or suspension. Whistleblowing is when you report a violation of the law by your employer. It is your right to report it but if you get adverse action taken against you because of it, then it is illegal for your employer and you have a right to sue. This violation could be something against yourself. For example, reporting sexual harassment. The violation could also be a general violation. An example of this would be reporting on the basis of workplace safety. In this form of law, you have to prove that the adverse action taken against you caused by you reporting the violation. It’s essential to know the different ways in which you can prove this. One was to prove causation is through direct evidence. Evidence of their motive to retaliate against you is the most helpful piece of evidence that you can use in your claim. An example of direct evidence would be if you received an email stating that you will be fired if you report a sexual harassment case. Now as we know, this often doesn’t happen. Employers tend to be more subtle and less upfront about these types of things because they know this evidence can be used against them. An example of a subtler piece of evidence would be if your employer constantly made comments that you shouldn’t make any trouble for yourself and you eventually get fired or demoted. This shows evidence of hostile and can help your case. This form of evidence is evidence which provides some reasoning in order to prove the fact. One of the ways to prove circumstantial evidence is by showing that your employer isn’t using their own procedure for firing or discipline an employee. For example, the procedure says that they must give you three warnings before they fire you. If they fire you without any warnings, then this can help your cause in proving that they fired you because of you reporting a violation previously. Another way that you can prove causation is if you are faced with increased scrutiny after making a violation report. An example of this would be if you made a report on a health violation at your restaurant and your supervisors began criticizing your work harder than they did before. It is easier to prove a causal link between the whistling blowing and adverse action if the time between the two is relatively short. The court typically considers 12 days to a month a short amount of time. When there is a larger time gap, then employers often try to find another reason for bringing an adverse action after an illegal act is reported. You can still win this claim if you prove your employer’s reason for the adverse action was not true and was a pretext for your reporting of a violation. Getting adverse action taken against you for reporting an illegal act can be devastating. You exercised your legal right. It’s not fair. You deserve justice. The Rager Law Firm in Los Angeles has years of experience and expertise in whistle blowing. Contact whistleblower attorney in Los Angeles for a free initial consultation at 310-527-6994 or fill out this contact form.